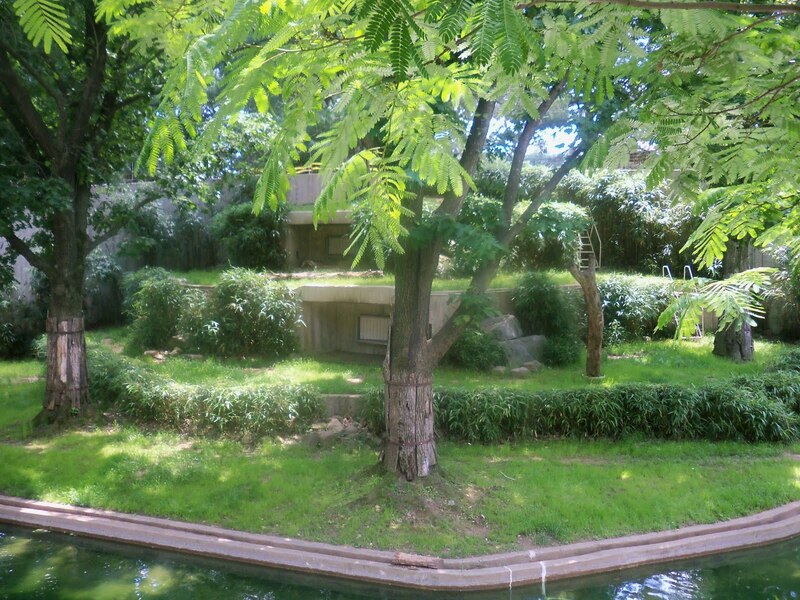 Zoo Mystery: How did apes and birds know quake was coming? This article uses a cause and effect text structure pattern, but with several twists. First, the effect is presented before the causes. From a writer's point of view, this makes sense. After all, the effect is the interesting part that will intrigue readers into wanting to read the rest of the article. Chronologically speaking, of course the causes happened first. But writers can play around with time to show ideas in the way that makes the most sense for readers. 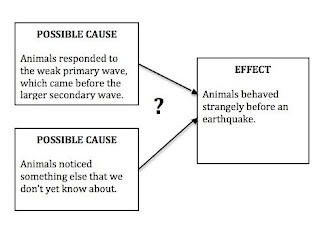 Another twist on the usual cause and effect pattern is that this text shows possible causes. The writer uses many words that show the lack of a definite answer--speculation, mystery, lore, suggested, unresolved. When teaching cause and effect text, it's important to show students how authors signal the degree of certainty with causes and effects. With persuasive texts, unscrupulous authors often avoid these uncertainty words to make their cause and effect relationships more convincing. 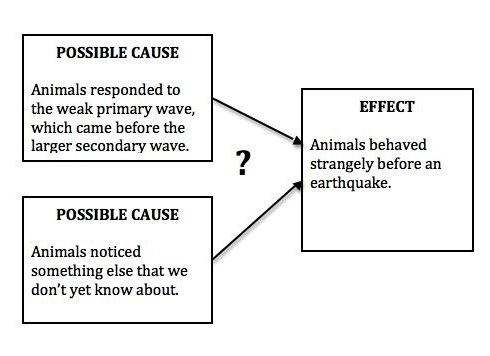 For students, I'll encourage them to use a question mark, as well as the headings "possible cause" to show that we just aren't sure if these causes lead to this effect. 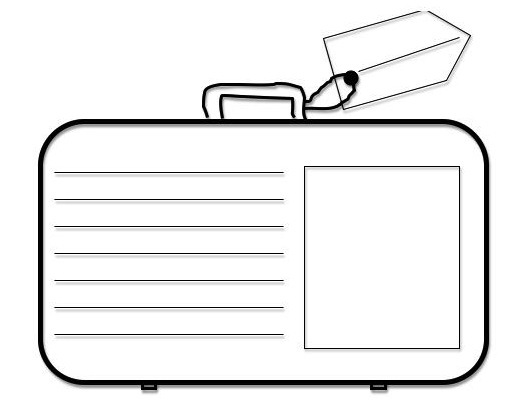 If students are drawing graphic organizers, wavy lines or different colors could also be used to show uncertainty. It's often interesting to see how different writers present the same ideas. Here are some other articles about the same incident. How are they similar? How are they different? As we get to the first week of school, I think about games a great deal. Games are a wonderful way to start the year. When games help us to build community and give kids a taste of what is to come in the classroom, they become powerful teaching tools. I like to choose about 5 each year that the class will play frequently. I change things up each year to keep things interesting! This lovely link from a school that uses the Responsive Classrooms techniques has more lists of great games, as well as greetings in different languages. What other games do you love to play? At our mentor texts workshop, teachers found picture books that they'd like to use in their classrooms and worked on how these books could be used in the classroom. Here are our favorites! Use this book to teach about how to make informational text more engaging. Jesus said, "Animal texts can be somewhat dry...this book can show kids how to make their writing more interesting." This book gives scientific information in a narrative format. Carole found that it could be used to teach content and style. This persuasive book can be used to show kids persuasive techniques. Becky said that this can be used to show voice, as the pigeon goes from whiny to persuasive to enthusiastic throughout the book. There is also interesting word choice, like "c'mon." 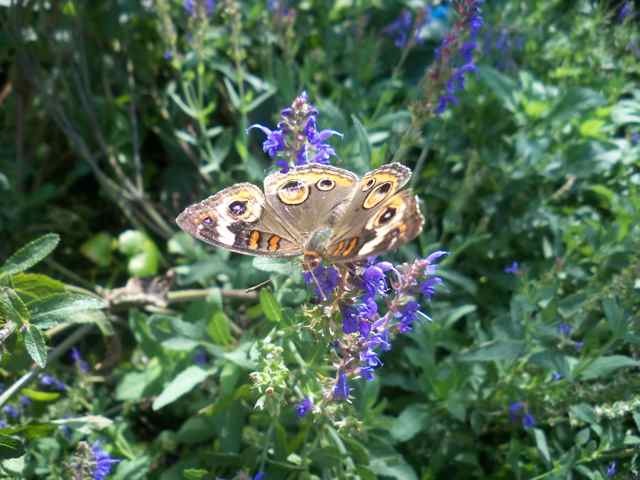 Sue shared, "This can be used to develop content and ideas. The main idea is how reading and dreaming can take the reader to anyplace they want to see in their mind." We had a great conversation about doing more with less at today's professional development workshop! First we talked about what we will have MORE of and what we will have LESS of. Then we talked about how we can work with less in our classrooms--by building student accountability, by using what we have, by turning complex routines into simple ones, and by reinventing what we teach. A librarian showed us how to use our community library databases to get access to high quality texts and pictures. For Adams County teachers, this is the link to the databases that you can get. You will need a library card. You can also find resources at the Power Library Link on this website. SIRS Discoverer is a good site for kids. This is my fifteenth year of teaching! So that means that I have had 14 years of experience with getting a classroom ready--and 8 classroom moves. This year, I've decided to try something a little different. Instead of putting all of my books together in one classroom library, I'm going to separate the parts of the library into three sections in the room--fiction, nonfiction, and poetry. Why will they all be separated? Crowd control! I like to have kids browsing, but 5 kids in a tiny corner doesn't work very well. I hope that by separating the sections, I can have more kids browsing at once. We'll see how it works. After the furniture is put in place, I attack the paper. Or rather, the paper attacks me. I have a hate/hate relationship with bulletin board paper. In my first seven years, I taught at an open space school with flexible walls. So I had to put paper up every year to cover the dull beige--and I made the place look like a circus with just about every single color of fadeless paper. Now, I stick to just one or two colors on my much more manageable bulletin boards. If I'm really lucky, my husband will do this step for me too. Then there is the most important decision of classroom preparation--what kind of border will I use? I have to admit that I love border. Lately I've been liking the border with the nature photographs. 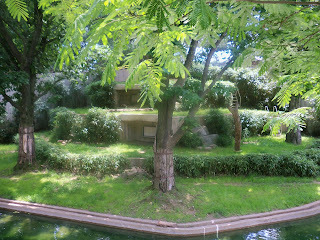 This year, I have calm leaves, cool forests, and peaceful bamboo. I like border that is not busy with lots of pictures and text. The rest of the classroom will be busy enough. Then I grapple with a decision--to theme or not to theme? On the one hand, a theme is a fun way to start the year. On the other, a theme can be a thankless pit for energy and creativity. I never want a theme to overshadow the really important work that we'll be doing in the classroom. This year, having just returned from a trip to Disney World, I decided to give in to the urge to theme. My husband arranged the 27 desks into 7 clusters. Seven groups? Hm...7 themed lands! Although I strongly wanted to have Frontierland, Adventureland, Fantasyland, Tomorrowland, and the like, I resisted the impulse and went with a much more teacher-ly 7 continents, which led to a World Travel theme. I love this because it's filled with learning. As I call tables to line up, I'll be naming continents. It will also give us things to talk about in our first few days--pictures of the continents, characteristics of different places, what we'd take on our journeys. 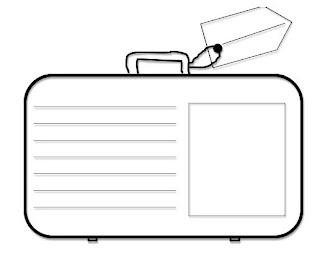 I also made a little suitcase writing prompt that we'll do on one of the first few days. Furniture, paper, border, theming, labels...that's about all I've done so far, and I'm still two wonderful weeks out from Day 1. As I think about the coming school year, I'm most excited about science. Last year was my first year of teaching fourth grade science, and I found it to be a great experience. Maybe it's because I'm kind of a kid myself--I can't wait to ask questions and find out new things! Here are some ideas that keep me going as I plan for science. I want to always have some long-term investigations going. With fourth graders, these are often whole-class experiments that we all work on together. Kids don't naturally think to gather data and make observations, so this is something that needs to be modeled and taught throughout the year. Here is a potting soil experiment that I wrote last year for the beginning of the school year. Our science textbook is somewhat dry. This year, I'm planning to put a large collection of interesting and inviting science texts together in one part of the room. Part of our science class will be "science reading workshop", in which students can choose science books to read on their own. When I can't find a satisfactory text, I write my own. Below are articles about animal adaptations and cave formation. My students love to look at pictures. With Powerpoints, I can show them great images and talk about them. I also like to use the document camera to project books. A River Ran Wild and Follow the Water from Brook to Ocean were student favorites from this year. This is a quick intro to food chains--a topic that shows up a great deal on our state sample tests. This Powerpoint helps students to understand animal habitats. Keeping these ideas in mind--long-term experiments, lots of rich text, and strong visual imagery--helps me to plan interesting and engaging science lessons all year long. Last time, I wrote about moving beyond calling every text a "story". As I work on planning my first unit for the school year (yikes!) I'm reviewing and dusting off all of my resources for learning about different kinds of text. I updated this Powerpoint and posted it. Last year, I wrote it to show how texts with the same topics can reflect different purposes and different kinds of text. It worked very well and gave the students a good starting point for talking about text. These words became some of our first vocabulary words for the school year. Another blog post from last year, this one with Jack and Jill rewritten in different forms. 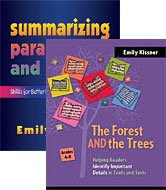 What other resources have you found for teaching about kinds of text?